Jean Williams has run Biblionef for many years and is now retiring. 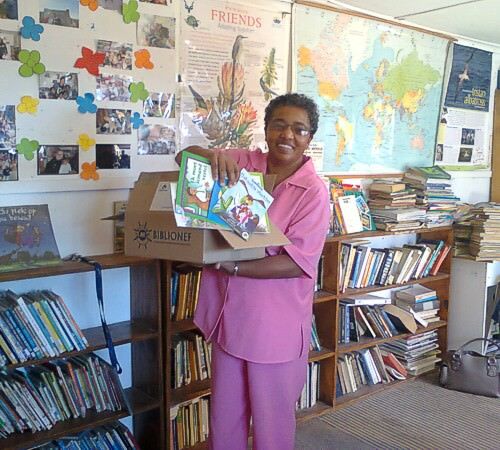 She is responsible for donating many storybooks to kids over the years and in all South African languages. You are the only national organisation that make books available to children in all eleven of our national languages. That’s no mean feat! How do you manage to source quality, exciting content across such a wide range of languages? We actually get our books from a variety of sources, including purchasing or accepting donations. Early in 1999, when we discovered how scarce storybooks in all African languages were, the Founder of Biblionef, Max Vegelin Van Claerbergen, suggested we commission publishers to print some of the most popular titles we had in South Africa into indigenous languages. Thanks to generous funding, we’ve been able to print 93 titles in indigenous languages! We really believe in making high quality books with lots of colourful illustrations and we’re proud of the fact that the majority of our books are locally written, illustrated and produced – in fact, our latest book was Kgalagadi Tales in all 11 languages, funded by the Lotto. Why do you believe so passionately that access to books is the key to a child’s future? Books really can change your life. They open your mind and that changes your attitude towards life and the world around you. Once you taste the joy books bring you, you’ll become a life-long reader and readers are normally good citizens who can act wisely. What are some of the impacts and success stories that have made you the proudest over your years of operation? We get a lot of amazing responses from people at schools, some of whom have never had books donated before. A principal heard about how we have more than 300 isiXhosa books and he actually drove here after school just to look at and touch them. He had tears in his eyes because he’d never seen so many books that weren’t textbooks in his mother tongue language. What a moment! Studies have shown that boys often have significantly lower reading skills than girls at school. How can we change that, together? We need to offer them books that cover topics that they are interested in! Boys – like girls – have a wide range of interests, but let’s make sure we have great stories about football, boxing, local heroes and so on. 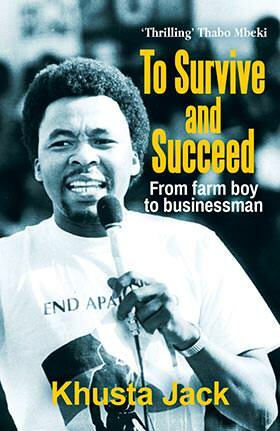 At Biblionef, we have six books that cover a soccer story, we have books about Nelson Mandela growing up as a herd boy as well as a children’s version of Long Walk to Freedom. Can any public organisation apply to receive books from Biblionef? Any children’s organisation that has a need for books in mother tongue but not the means to get them can apply. Write us a request letter! Tell us why you don’t have funds and tell us how you plan to use and care for the books when they arrive. You have said that no area is too remote for you to get books into: that sounds like a challenge! How do you make sure that books are delivered directly into the hands of school children, no matter how far away they are? It’s a simple plan. We pack our books in cardboard boxes with a weight of 30 kilograms or less and they’re all sent via the postal system. Each organisation is informed they must collect their books at their local post office. Believe it or not, we’ve had a 98% success rate using this system. It’s one thing donating books, but quite another making sure that they are able to be stored and looked after. Biblionef has some ingenious storage and maintenance solutions – tell us a little more about them. Experience has taught us that most places don’t have adequate storage space on their premises for their new book donations. Obviously, books last much longer if good quality storage space is available, so we started suggesting alternative shelving options. One of our favourite is providing steel trunks where books can be packed neatly away – they are inexpensive, transportable, sturdy, lockable and accessible. Trunks can be swapped between schools to offer a larger selection of books to more children. We also have mobile units on wheels and suggest things like suitcases, cloth bags and even bread crates! Buying books is expensive and you note that over 85% of South Africans don’t have access to a public library. I can’t imagine not being able to pick up a book when I felt like it. What can regular people do to promote book equity in South Africa? If you want to promote book equity in SA, you can support one of the many NPOs helping to build a culture of reading amongst children. You can visit second hand bookshops and buy books for a crèche or school or after care centre. Join a book club and share your resources with other people! Or my favourite: give children books as birthday presents and put some money inside it, so when they read it they get a nice surprise inside. From Sunday April 15, Nal’ibali will be publishing its supplements in two new languages. 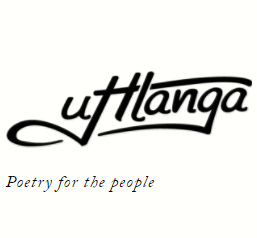 An English-Setswana edition will be published in the Sunday World in the North West, and an English-Xitsonga edition will be donated to reading clubs in Limpopo. Clubs in both provinces will collect their copies from select post offices. The post offices (10 in each province) will also have 50 additional editions each to give away to member of the public.